Microsoft has launched a smart band that will allow users to monitor their physical activity and sleep, as well as receive smartphone notifications, marking the company's foray into the wearable technology market. 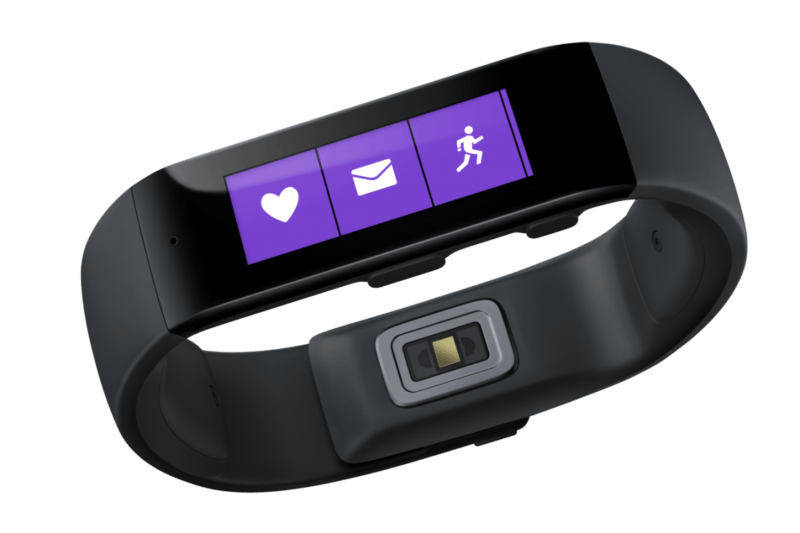 Dubbed Microsoft Band, the device will go on sale today for $199 and be available at the software giant's retail as well as online stores. The smart band, which is designed to last 48 hours on a single charge, and worn all-day round, sports a 1.4 inch touch screen with 320×106 resolution, and contains 10 sensors that not only track standard health statistics like heart-rate, steps, calories burned, and more, but also some unique things like stress level and sun exposure, which other fitness bands currently do not track. Microsoft has also released a new platform called Microsoft Health that includes a cloud service which can process data gathered from both the Microsoft Band as well as other fitness data gathering devices. The platform is accessible from the new Microsoft Health app which is now available for all three major mobile platforms: Android, iOS, and Windows Phone. “We are as open as you get”, said Matt Barlow, who heads marketing for new devices. “We are iOS, we are Android and we are Windows Phone”. The smart band works with any Bluetooth LE device running Windows Phone 8.1 Update, iOS 7.1 or later on an iPhone 4S or newer, and Android 4.3 or later. The Health platform, which the company says is compatible with several fitness tracking services such as UP by Jawbone, MapMyFitness, MyFitnessPal, and Runkeeper, will also allow you to measure your work life; for example, you can use it to determine how a long meeting with the boss might have affected your night’s sleep. You can also connect your Microsoft Health data to HealthVault, the company's consumer health care platform which it launched back in 2007, to share with your medical provider.